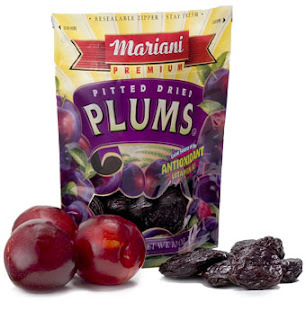 Eating Mariani California dried plums is a great way to stay healthy, balanced and energized. They are full of vitamins and minerals and they taste great! Iron - Important for red blood cells that transport oxygen throughout the body. Vitamin A - An Antioxidant that is essential for a healthy immune system. Fiber - Promotes a healthy digestive system. Potassium - Helps retain normal blood pressure. Phenolic Compounds - Act as antioxidants to support a healthy heart. For a limited time, you can get a free sample when you register HERE and use the code SUPERFRUIT.